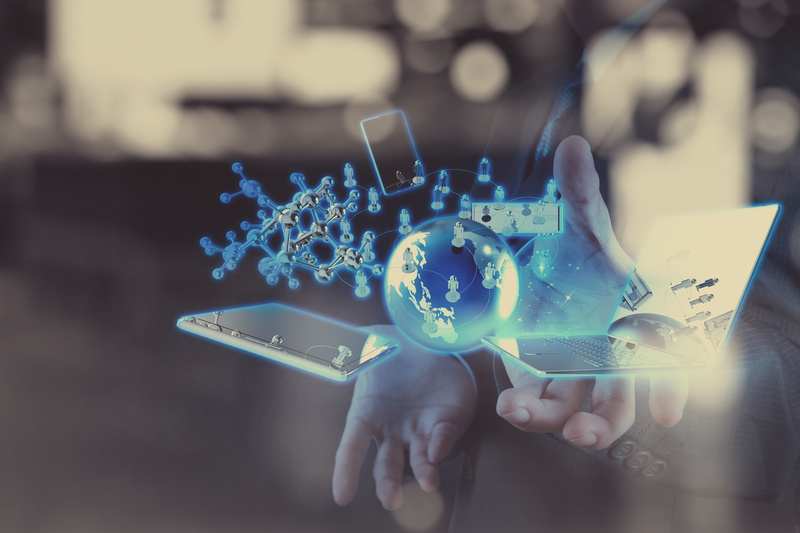 If we were to summarize the current situation in the ALL IP market, we would see that the migration from ISDN to ALL IP has reached a stage where the number of IP-based telephone connections has exceeded other fixed-line connections such as analog or ISDN. 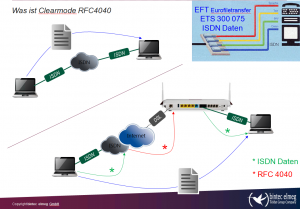 In contrast to other VoIP/SIP providers, Germany’s largest carrier has not been able to offer SIP trunk connections in the last year, thus many business customers could not migrate from ISDN point-to-point connections to ALL IP. Another important point to mention is that the offer of cloud-based ICT solutions has increased therefore migration to ALL IP is even possible for non-office environments. 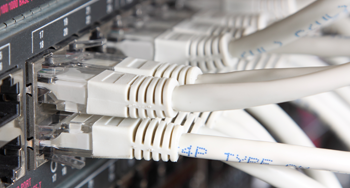 Special services are offered via analog or ISDN connections in combination with terminal devices by service providers. The particular challenge is now to guarantee the customer all these special services despite the on-going migration to ALL-IP. For the customer, the question is: will it work and who is responsible for it? Especially alarm systems are very common, taking into account the fact that alarms such as fire, burglary, heating, cooling or power failure, pump defects, door monitoring, water-pipe-rupture and many other functions are supervised and, in case of an emergency, are reported as soon as possible to mobile phones, fire departments, the police or security companies. Broadly speaking, services related to these problems have to be alerted – reliably and quickly! Special services include also applications such as ISDN Eurofile transfer, fax, PBX maintenance which are integrated in company processes. Many providers do not consider this as a problem because in most cases IP-based solutions are currently available. One of the most common examples is the electronic cash terminal. 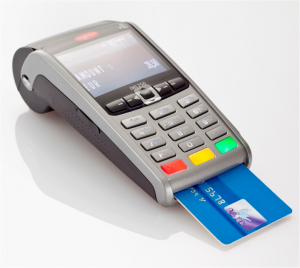 Analog or ISDN point of sale devices can be exchanged at a reasonable price by now. Some providers offer this service even for free. Nevertheless, particularly in financial transactions, the device function requires maximum reliability. In case the customer uses applications which do not yet have an IP solution or which are too expensive to migrate to IP, the whole subject has a greater impact. Investment protection plays an important role. Therefore, let us have a closer look into the technology All-IP. All these aspects above need to be considered in each case individually. In case voice packets are lost, clicks and drop outs are normally expected. Cutting-edge technology compensates this problem by stretching the packets and adapting the transition from one to the next packet according to the sound. How does this affect the listener? The listener does not notice it because the voice sounds only slightly deeper and no noise occurs. Why do I mention this? This example mentioned above is an important aspect when migrating from conventional technology to ALL-IP and integrating the new technology. Why is this an important example? Large ISDN PBX systems which are operated by the manufacturer are often quite expensive and are deeply integrated into internal corporate processes. IP upgrades are rather complex and cost-intensive if at all possible. 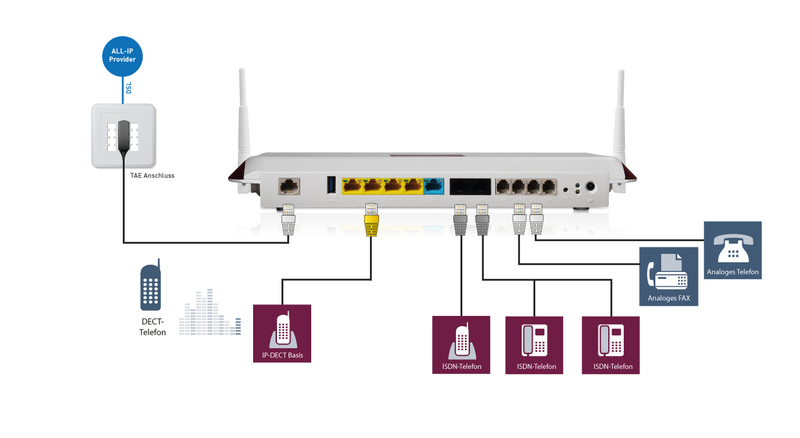 A special feature of ISDN is the synchronous connection which does not accept package loss, however the network is very stable but rather slow. Error corrections have been left out since they were not necessary. PBX maintenance bear the risk that only one single transmission error can near-irretrievably put the PBX out of operation. Yes, there are solutions but not all will be supported by every provider and terminal. It is the customer’s responsibility to clarify this. 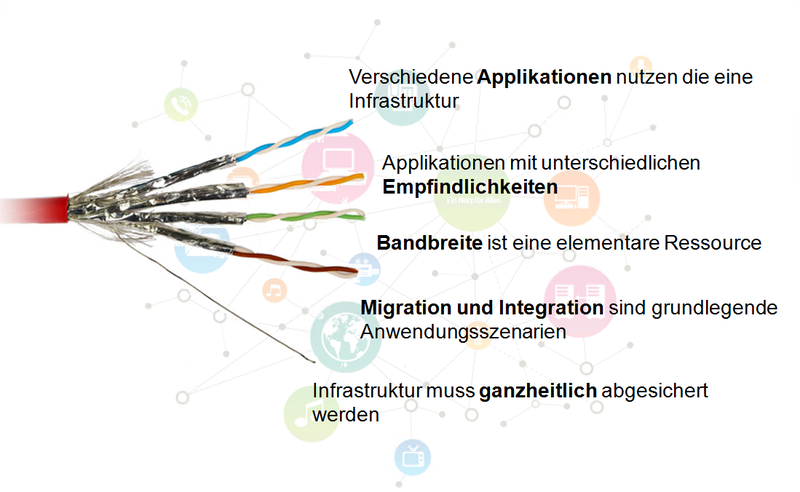 Deutsche Telekom’s official statement mentions that functionality of a special service operating via an ALL-IP connection can only be guaranteed by a qualification test of the service provider. Therefore, it is important that you as the customer contact your service provider to agree about further steps before actually migrating to IP. What does this mean from the technical point of view? A brief excursion into the technical details of ISDN, tells us that, it is a technology which even differentiates between voice and data. In case of EuroFile transfer or PBX maintenance connection, a request for comment will be created, more precisely RFC4040, payload format for a 64 kbit/s transparent call. This is a quasi standard for processing this kind of data. Thus, in case you have a media gateway or a PBX and your provider supports RFC4040, you are well prepared to successfully migrate your special service to IP. RFC 4040 in combination with a sufficient bandwidth and Quality of service (QoS) enables a secure and error-free deployment of ISDN data transfer via the ALL-IP network. 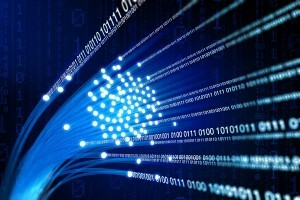 From the technical point of view, analog data connections via analog and ISDN connections cause problems. Here, the customer along with the provider has to prove each case separately. Nevertheless, functional reliability cannot be guaranteed and can be affected by any kind of change in the provider’s network. In general, experiences with many customers as well as tests show that data transmission rates up to 33 kBaud have a good chance of a successful migration into the world of ALL-IP. It is no new that ISDN will soon be switched off. Up to what point the whole procedure is planned to be done is also well known. There will be no or almost no delay because the necessity on the part of the carriers is clearly articulated and mandatory. 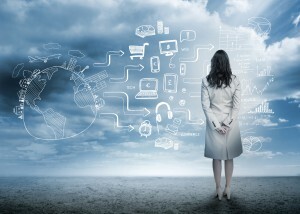 Companies are forced to take action sooner rather than later. 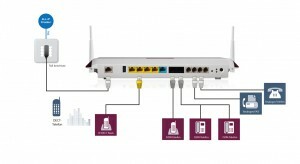 Two possible solutions are available for the conversion to ALL IP. Technically speaking, ISDN stands for Integrated Services Digital Network, from the user’s point of view, a long-standing, stable, and reliable communication network which standardizes a digital telecommunications network and unifies various services such as telephony, data, teletext or datex-P on one single network. Previously, each service required its own network and all networks were connected via gateways. The term ALL IP means unifying and converting all currently existing transmission technologies in telecommunications networks on the basis of Internet Protocol (IP). Thus, services such as telephony, television and mobile communications will be provided by means of a uniform network protocol and no longer via the classical circuit switching. The switch to IP-based lines significantly reduces the complexity of networks while the number of operating network components decreases. 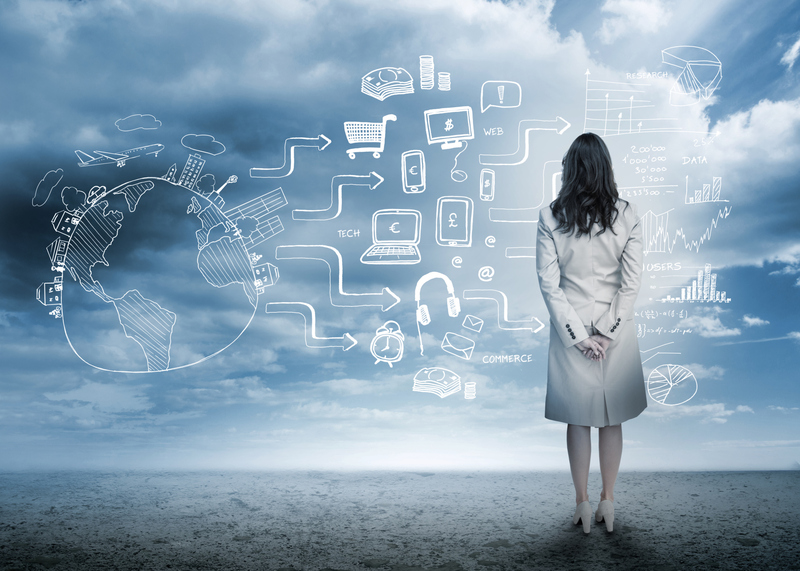 The migration from ISDN to ALL IP initially affects private and small business customer’s point-to-multipoint connections. Business customer’s that frequently used point-to-point connections (buzzword: SIP trunk) are expected to be switched off by Deutsche Telekom at around the time of CeBIT 2016 and alternative carriers are even one step ahead. 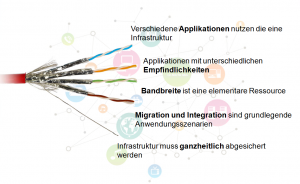 From the end of 2015 Deutsche Telekom offers its business partners up to eight parallel voice channels. 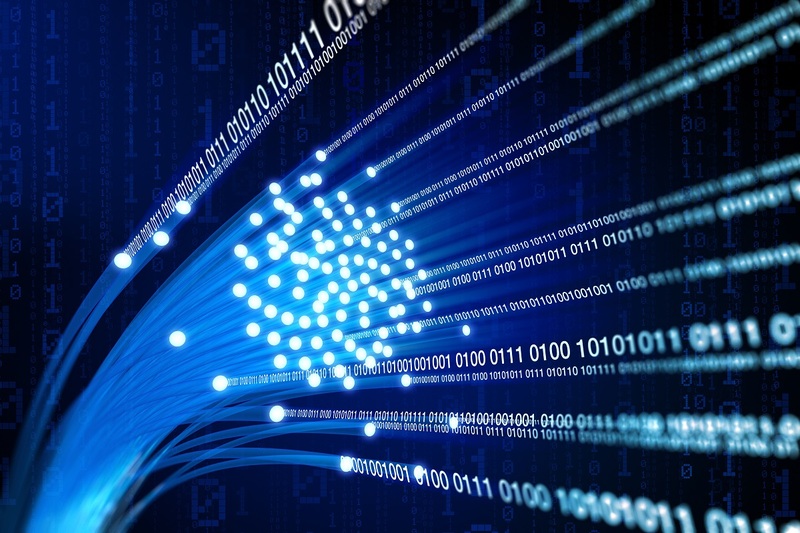 Due to regulations, customers with more than ten phone numbers per basic ISDN connection currently have to apply for a second ALL IP connection in order to keep their phone numbers. Hence, it makes sense to actively develop an approach already in the run-up phase or to consider changing to another provider. When evaluating which decision to take, one should consider how old the current operating PBX is, whether it is worth purchasing a new one, or whether the PBX has only been operating for a few years and it already supports VoIP. In the end a simple, economic cost-benefit analysis needs to be undertaken and an evaluation made. One solution is the migration of the already existing ISDN infrastructure by means of an ALL IP media gateway and the alternative is the replacement of the PBX by an ALL IP communication solution for both voice and data which can be integrated into the network infrastructure. Teldat with its very long tradition in the telecommunication and IT market, provides both approaches: migration as well as the integration of an ALL IP communication solution. In our next blog entry we will look further into the available solutions for both approaches.